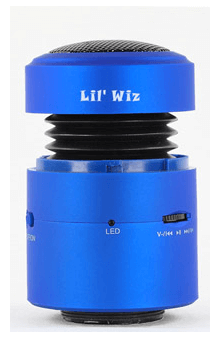 This little gadget, called the Lil' Wiz lets you bring along big sound - turning almost any solid surface into an amazing sound system. You connect it to your sound source (computer, smartphone, music player or tablet), and then attach with the build in suction cup. Some of the models connect to your device via BlueTooth, and there are also options that include a reader of a micro-SD card- where you can put your playlist on the card and have no connection required. If you enjoy a daily fight with your smartphone or music player earbuds, skip this article. 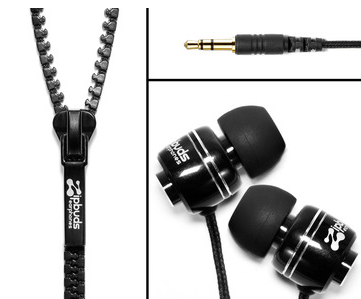 If you are like the rest of us, you will think ZipBuds are pretty cool. Available in Black, Blue, and Pink - you can pick your color and be active in style. And without the rats nest of earbud wires. Join us at 6:30pm eastern for a liveblog from Microsoft's last CES keynote. Hit the break for the show! Greetings all. While most people have overdosed on technology over the holiday 2011 season, you haven't, and our insatiable thirst for keeping you plugged won't allow us to either. January 2012 means another CES and this year we are coming in stronger than ever with plans to double our coverage from last year's show thanks to Allante Sparks, the newest member of our CES 2012 team. But wait, there's more. We are also combining our forces with the Tech Podcast Network, because we know that when it comes to this kind of thing, the concept of "too much" is irrelevant. Just like last year, we will be doing a live show almost evey night from various locations in Las Vegas such as The Stratosphere Hotel and Casio. There will also be a wide variety of guests such as Avram Piltch, the online editorial director for Laptop Magazine, who you may know from The Piltch Point segment of Refreshing Technology. This will mark his first live, in-person appearance on the show! 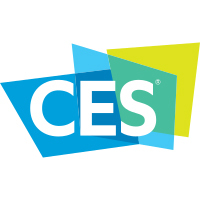 Since we can't guarantee that anything in the schedule will happen as planned, be sure to find us on Facebook, Twitter, Google+ and YouTube so you can stay plugged into the fast-paced world of CES 2012. Also, make sure to stay tuned into the TPN live stream for coverage right from the floor. Even after all of the destruction Sony has suffered this year, like their PlayStation Network crashing, including the second round of account comprises and the delay of the Vita, they are still ridiculously optimistic. Not only are they making improvements to the PlayStation Home, they still feel confident in their PS3 sales. This week, Sony has said that despite it all and through everything, they are still right on track to push 15 million units across the globe for its fiscal year ending in March. Head of Sony Computer Entertainment Andrew House said that PS3 sales are actually ahead of what they've projected year-to-date. However, he was a little timid on commenting whether or not the Vita is going to meet initial estimates. My home state always seems to have something weird and random in the news at least twice a year. Either that, or there's some new smell emanating from the state because we're downwind from New York. I'm talking about my Garden State, New Jersey. This week, something interesting came across my wire that certainly beats the pants off of the burning squirrel car story we talked about a couple years ago. Courtesy of The New York Post and with special thanks to the great city of Hopatcong, NJ, I will simply quote The Post's article, which is also available in the source link below. I simply cannot do this story any better justice than the short, concise version provided by them. A cable TV repairman got quite a surprise when he walked into the basement of a New Jersey home. There was a 500-pound bear sound asleep on the floor. The bear had been spotted wandering in the neighborhood in Hopatcong earlier Wednesday. It's not clear how it got into the home. The bear ambled out of the house before state Fish and Game officials arrived. WNBC-TV in New York reports the officials fired a tranquilizer dart at the animal, which walked a few blocks to the Missouri Trail before it was knocked out. Officials plan to relocate the bear. In a follow up, the bear has demanded that the next place it decides to crash at must have Verizon's potentially upgraded network, or at least a nice fish spread. The bear has been reported to have not had high remarks on the large assortment of spray tan bottles, stating that they "taste like regret and shame." When asked why he decided to nap, he said that he was hiding his eyes from the possible burn they could suffer after hearing news that Jersey Shore would be returning to TV. Photo courtesy of Westfield, MA Educational System.